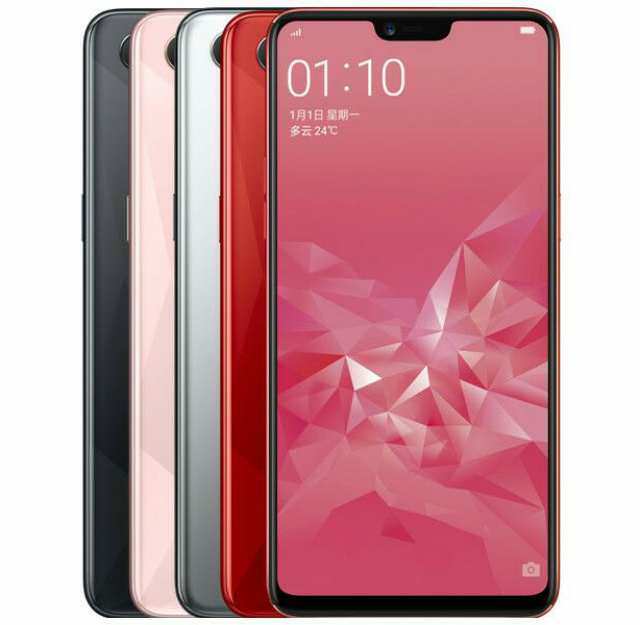 OPPO has just made a new addition to its mid-flagship smartphone line-up in China. The device dubbed A3 is a replica of the company's recent F7 smartphones, it has the same glittering multi-layer metal body design with a unique glass back that has triangle-cut patterns that reflects and shimmer bright and dark shades when view from different angles as the OPPO F7 Black Diamond edition. They shared nearly the same specs too, but this sports a much lower 8MP front camera and not 24MP as seen on the former. However, the downgrade in front camera is well compensated in the processor that powered the OPPO A3. It comes with a MediaTek Helio P60 12nm chipset which is much more newer and faster than Helio P20 that powered F7. Closely accompanying the processor is 4GB of RAM and 128GB of expandable storage. The screen is 6.23-inch in size and it has a notch that accommodates the front camera and proximity/ambient light sensors. A full HD+ (2280x1080) IPS display is fitted into the screen touting an aspect ratio of 19:9. The A3 software runs on Android 8.1 Oreo enhanced with ColorOS 5 and at the back of the phone is a 3400mAh battery. The 3.5mm headphones jack remains intact, but there is no fingerprint sensor. The A3 is themed in Black, Rose Gold, Red, and Silver colors. It is available for CNY 2,099 ($332).